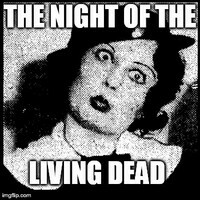 Night Of The Living Boop. . Images in the Betty Boop club tagged: living dead betty boop bonnie poe crazy poe beth scary. This Betty Boop icon contains anime, comic book, manga, and cartoon.